Many of the top tourist destinations in southern Italy’s region of Campania are reachable by train, including Naples, the ruins of ancient Pompeii, Sorrento and many more. Only about two hours south of Rome by train, the region of Campania offers a wealth of beauty and the classic charms of the southern Italian lifestyle. 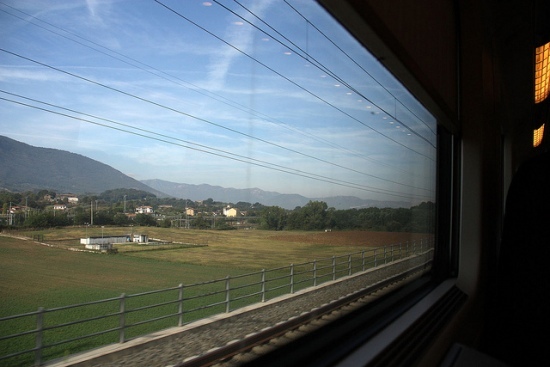 For travelers curious to explore the diverse history and natural landscape of this region, it is possible to experience some of the best of Campania traveling by train and other means of public transportation. 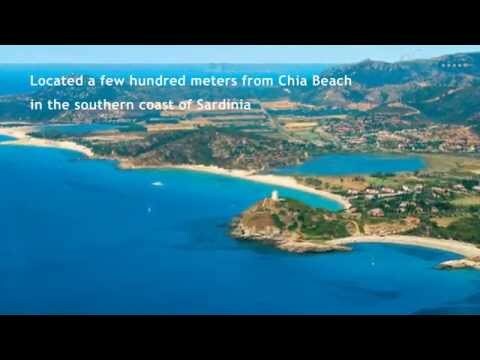 While not as well connected by train as central and northern Italy, with a bit a patience and perseverance you can reach many of the most popular travel destinations in Campania. Naples, the capital of the region and southern Italy’s largest city is a wonderful place to start exploring Campania. As your train begins to slow down as you approach the city, you’ll spot Mt. Vesuvius looming in the distance, the iconic volcano that is interwoven into the fabric of Naples’ fascinating history and the Neapolitans themselves. 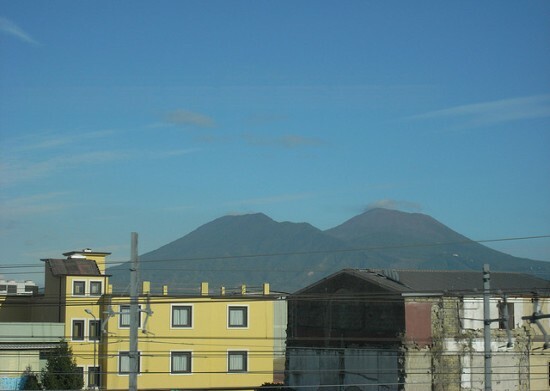 Most trains arrive in the Napoli Central train station near the city’s intensely busy Piazza Garibaldi, where you can connect to buses and other train lines to reach the centro storico, or historic center of Naples. The best way to explore the heart of Naples where traffic is famous for being chaotic and intense, is on foot or by one of the many buses or trams in the city. 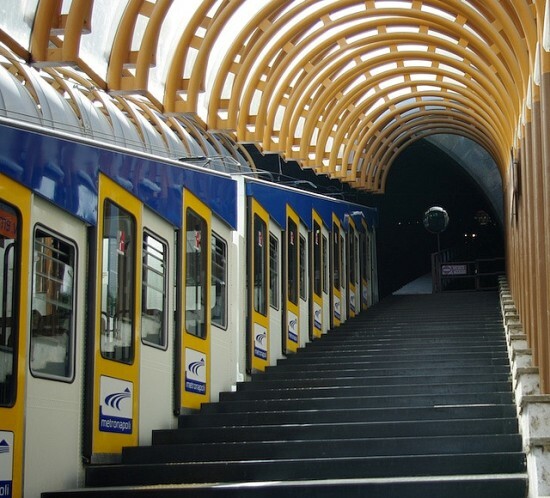 Train lovers will enjoy taking a ride on one of the funiculare, or funicular inclined railways, that connect the historic center with the higher parts of the city, including the Vomero where you’ll find Certosa and Museum of San Martino and the Castel Sant’Elmo offering stunning views overlooking the Bay of Naples. Not far from Naples you can take a walk through the ancient Roman town of Pompeii, which was destroyed by the violent eruption of Mt. Vesuvius in 79 AD. 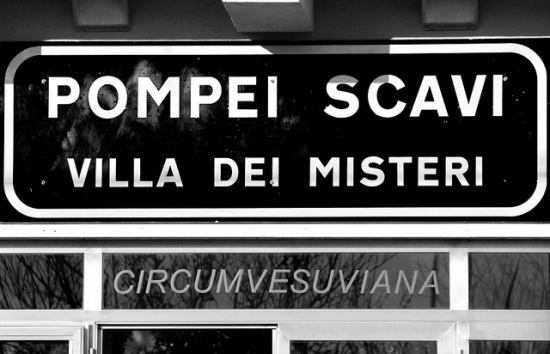 From the center of Naples, take the Circumvesuviana train line to the “Pompei Scavi – Villa dei Misteri” stop, which is located near the Porta Marina entrance to the ruins of Pompeii. For train travelers interested in Roman history, the ruins of ancient Herculaneum are only about a 10 minute walk from the Ercolano stop on the Circumvesuviana line. 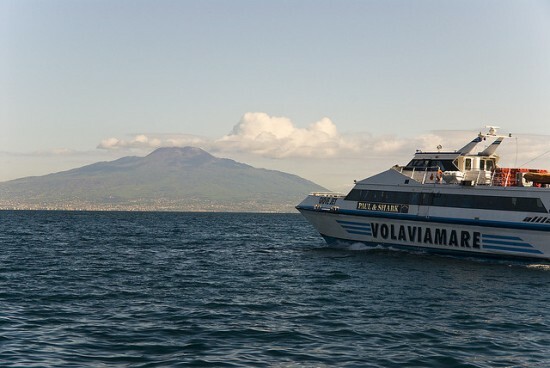 Continuing along the Circumvesuviana line will take you down the beautiful Sorrento Peninsula to the town of Sorrento located overlooking the Bay of Naples. 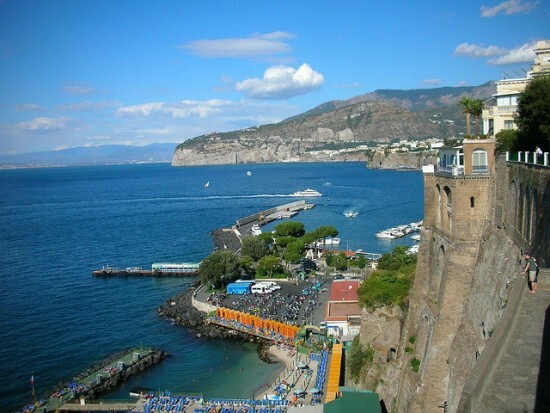 While the famous Amalfi Coast on the southern half of the peninsula is not accessible by train, you can experience the allure of this beautiful stretch of coastline by public bus or by ferry from Sorrento. A lovely resort town to explore on its own, Sorrento also is ideally located for reaching the islands of Ischia and Capri just a short ferry ride away. Once on the islands, you can travel by public bus or taxi to reach all the top destinations. On Capri, you’ll find a handy funicular train line that connects the main Marina Grande port to the town of Capri. Another highlight not to be missed is the chair lift connecting the town of Anacapri to Capri’s highest point at the top of Monte Solaro. 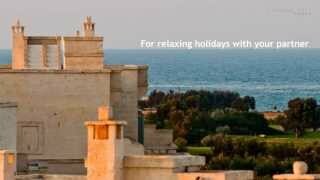 The views overlooking the island and the Bay of Naples are stunning! Salerno is another popular travel destination in Campania, and offers a large city feel and beautiful seaside setting without the urban chaos of Naples. 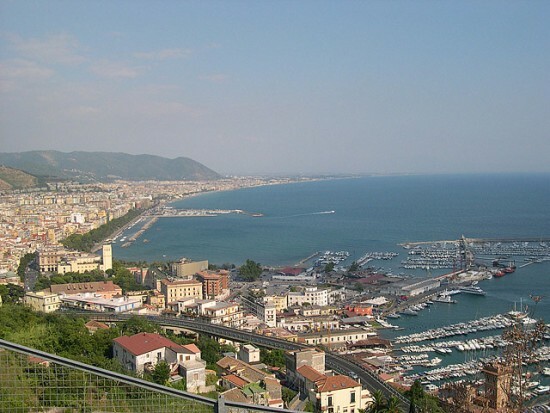 The train station is centrally located in Salerno, and buses depart nearby for the Amalfi Coast. Or stroll over to the town’s tourist port for a beautiful ferry ride down the Amalfi Coast to reach the towns of Amalfi and Positano. 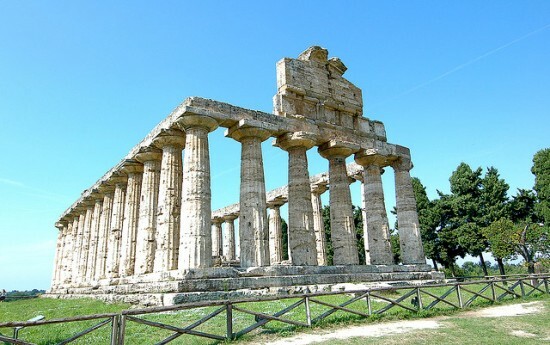 From Salerno you can travel by train or bus to visit the wonderful ruins of Paestum, home to some of the best preserved Greek temples in the world and a fabulous archaeological museum. Catch the bus from the Salerno train station, which takes about an hour, or take a train to the Paestum stop that is located about a half a mile from the archaeological site. With a bit of planning and patience, along with an eye toward personal safety and pickpockets, traveling is a fun way to explore Naples and the highlights of Campania! 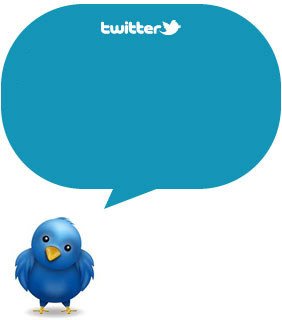 Plan your travels in Italy by train: do not miss our posts about travelling by train in Tuscany, Sardinia and Puglia!